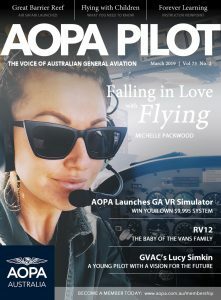 For AOPA Australia, advocacy is more than just lobbying government or negotiating with the Civil Aviation Safety Authority. It’s about staying engaged with industry and community. It’s about maintaining a network of pilots and industry supporters to monitor and protect our rights to fly. It’s about putting the combined weight of thousands of Australian aircraft owners, pilots and aviation organisations behind the most important issues.